Somehow, humankind has collectively shrugged its shoulders at the dangers that climate change poses, as if the fate of the planet isn’t enough to motivate action, so it’s time to try a new fact-based tactic to see if it generates concern. Like, did you know that climate change is going to reduce beer production and likely make the beer available twice as expensive? Perhaps that’s the kind of alarming news it will take to take action. A new study published in Nature Plants plays out climate models to determine how global warming will affect barley, a key crop used to make beer. Even under the least damaging scenarios, researchers found that the barley supply is in danger and the price will surely soar as a consequence. Overall, the computer simulations showed barley production falling by about 3 to 17 percent (depending on how quickly the world can curb emissions,) thanks mainly to extreme weather, heat waves and drought. Surprisingly, the models showed that in certain countries, the rise in temperature would actually improve conditions for growing barley, but it didn’t nearly make up for the losses that other countries would suffer. With barley being scarcer, the researchers also tried to simulate the rising costs of beer. They anticipate that the price of beer would be pretty much double the rate of what people pay today to compensate. In turn, beer consumption would go down overall, to the tune of about 16 percent globally. Interestingly, the Brewers Association, a U.S. industry group, thought the study warranted a response, calling it “largely an academic exercise and not one that brewers or beer lovers should lose any sleep over.” That seems like a dismissive way to talk about climate change – whether merely in the scope of beer production or the effects for the entire planet. 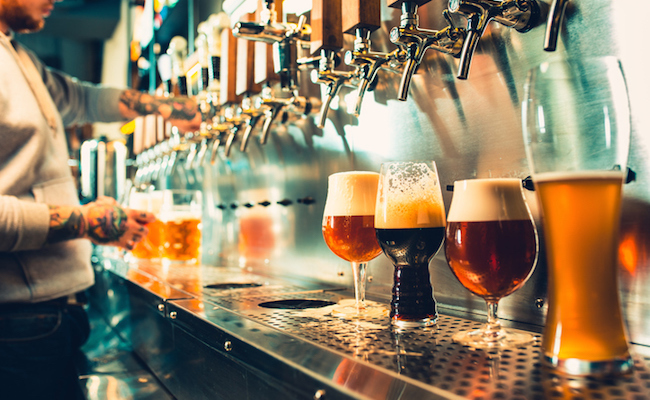 However, Dabo Guan, an environmental economist and lead researcher on the beer study, says he chose to study the likely trajectory of beer specifically to frame climate change in a new way. “What I’m trying to emphasize here is that climate change will impact people’s lifestyle,” he said. Guan’s point is that even people who feel quite comfortable under current conditions and consider themselves immune from repercussions need a reality check. If their default mode is to kick back with a beer and watch football, it’s still going to mean taking action now to ensure that’s a possibility in the future. So what say you, beer lovers? Is having to pay twice as much for beer finally the kind of news that’ll motivate you to advocate for climate action? Whatever it takes to bring you to the table, we’re going to need your help! P.S. Don’t like beer? Wine is particularly vulnerable to climate change, too. Grapes are extremely sensitive to temperature, so the rising heat can make a difference in the quality of wine that’s produced. And for the non-lushes amongst us, coffee is also expected to become more expensive at bean production continues to decline under changing climate conditions.